Jingle bell, Jingle bell, Jingle all the way.... to shopping mall. Aiya, same old same old. Nothing special nor unique to buy as Christmas gift for my special one. If only i can have something unique for this year Christmas. Finally, I found it, in SolidWorks official website. Yes, SolidWorks website. 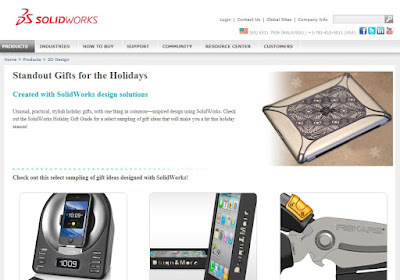 We knew that over millions designers around the world create a new concept and product with SolidWorks. 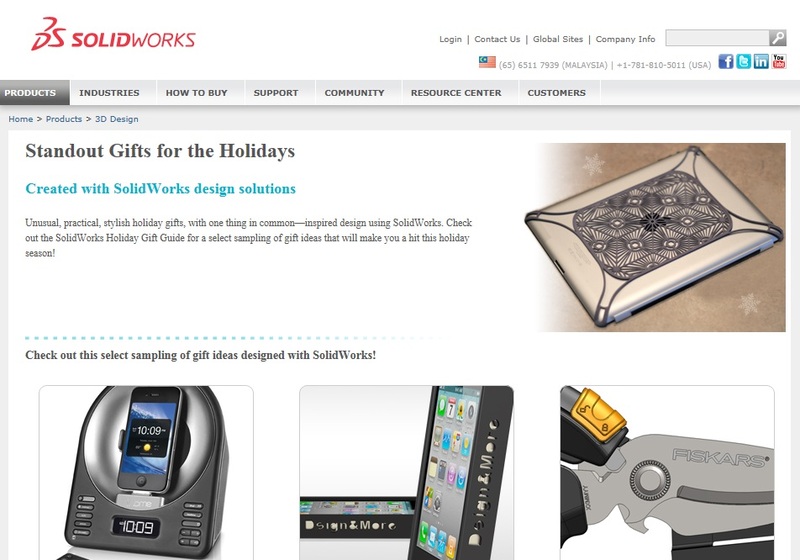 So, this year SolidWorks jingle all the way to introduce us some great inventions and products. A PAGE in SolidWorks shared some nice designs, if you still cracking your head for Christmas gift. In that page, it featured an iPad 2 casing design that personally I like it a lot. Why? 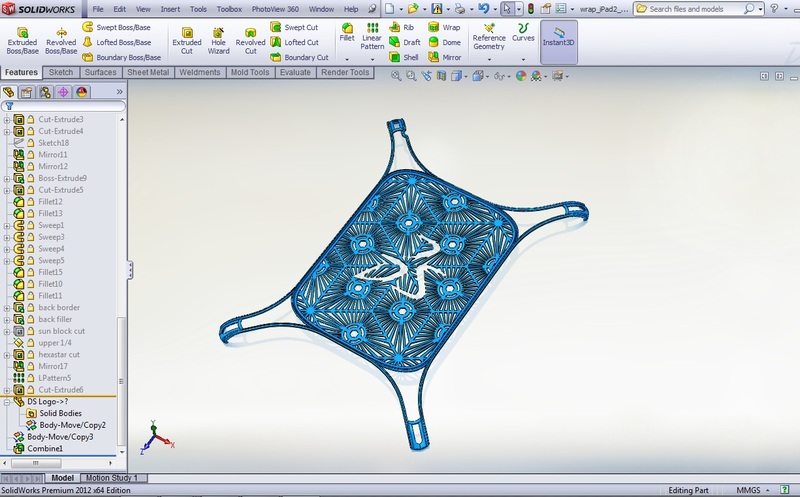 Because during SolidWorks Innovation Day 2011 it was use for 'Feature Freeze" presentation and I was thinking, is this casing for real or just for display purpose. Now, I got the answer. When I drill in further, I found out that it's not just for real. It is also customizable and 3Dprint-able as one of a kind design. Now, that is unique Christmas gift. You can click below link to enjoy some of the customize design by "jbare design." 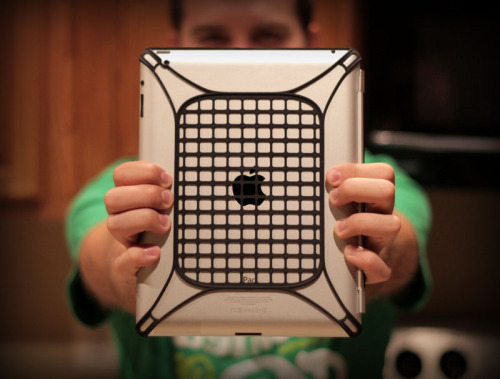 "A back wrap for the iPad 2. Engineered to work with Apple's Smart Cover, the wrap protects your iPad 2's corners and back while allowing your fingers to still feel the wonderfully designed & engineered surfaces of your iPad 2. And does so minimally adding only 2mm of thickness." That's it, all the best for your Christmas shopping.